Cor-Pro Systems is the leading provider of Heat Cured Coatings for corrosion protection in Houston, Texas. Steel pipes, tanks, and other industrial parts and equipment are prone to corrosion particularly when exposed to harsh chemicals and environmental conditions. Over time, corrosion can seriously damage critical industry equipment. When compounded, industries bear the unwelcome brunt of corrosion costs. Heat Cured Coating services is one of the most ideal ways to protect important equipment agains corrosion. Cor-Pro System provide top of the line heat-cured coating in Houston and Gulf Coast areas. With majority of equipment vulnerable to corrosion day in and day out, employing a proactive and preventive approach will save industries billions of dollars. Cor-Pro Systems has been providing top-of-the-line and industry-compliant corrosion prevention services to various industries for more than 27 years. Heat cured coating provides high surface resistance protection against aggressive chemical substances and extreme conditions. Heat curing is done during the final polymerization session allowing the coating layers to cross link with each other on a molecular level. The effect is a strengthened surface area that can withstand corrosion and overall degradation. 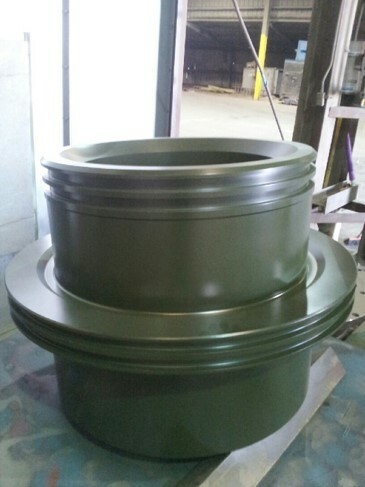 Heat cured coating is especially suitable for industrial equipment exposed to harsh environments which can easily deteriorate quality of equipment. Consult anti-corrosion specialists like Cor-Pro to maximize the benefits of heat cured coating for your equipment. Cor-Pro provides excellent corrosion prevention methods compliant with current industry standards. Cor-Pro help companies setup effective corrosion-preventive practices that will mitigate equipment damage and replacement costs. If you have questions about our heat cured coating services in Houston or want to get a custom quote for your particular corrosion protection need, contact us at 713-896-1091, or send us an e-mail at quotes@cor-pro.com.